for order at 25,000 booksellers worldwide. first place medal at the Harvard Club in NYC. this is the it's first, first place. Jenny’s Way, based on a local legend, is a fictional tale set in Baltic, Connecticut. presentation will be given on the local sites that were important in the novel’s setting. 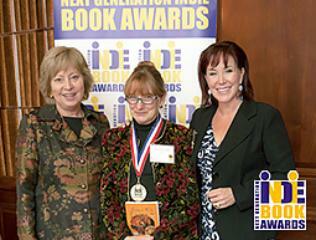 (www.IBPPG.com) in cooperation with Marilyn Allen of Allen O'Shea Literary Agency.